Modern Vespa : FAQ: I've lost that little bubble. What do I do? 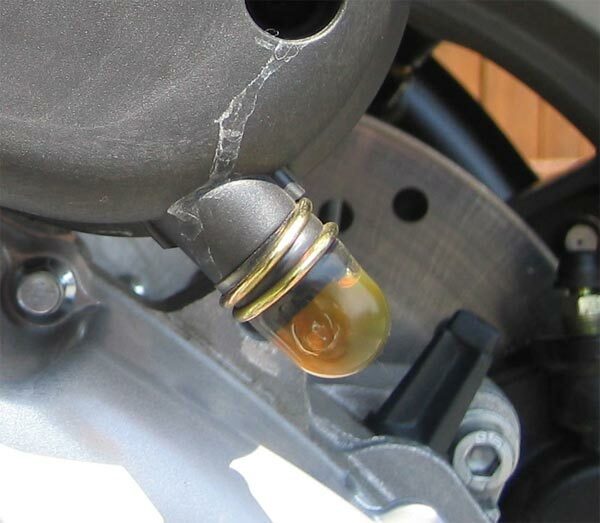 The little bubble filled with oil is notorious for going missing. It's held on with a reasonably beefy clamp, but if it's not put on tightly, or if there's a lot of oil on the spout that it connects to, it has a tendency to slide off. You won't do any harm to your scooter by riding around without the bubble. However, oil will drip out of the open hole onto the ground, so there's a minor environmental downside to leaving it open.